Chaakas are not a known part of Humanity, as they developed on Charum Hakkor, an Identical Earth, but 4x as larger. The UFC has control over four galaxies, and the Federation itself isn't big for a C4 Civilization. But the UFC have some of the best weaponry and tech available and it's military is well trained. The Chaaka's are a devout, C4 Civilization. They use hard light technology, which is a really mysterious technology that only the Chaakas know how to harvest. The Chaakas are a very polite, and nice people, they have no problem with prejudice, nor is there crime within the UFC, due to very harsh punishments. Chaakas are ancient Humans that have been cut off from the known part of Humanity. The UFC has yet to be discovered. Even though they control the Mehalionic galaxy and 4 other galaxies, they STILL have been undiscovered. Many factions and races have been so distracted, that they do not know of the Existence of Chaakans. The UFC know nothing of this "Unity" as they have been isolated to only themselves. The Chaakan military technology in most terms, is plain ol' scary. The Chaaka's have reached Tier 1 technology. Meaning, they are VERY advanced. Examples are Hard light, Spac cannon or TWS(TriniaryWeaponsSystem) which uses gauss laser, and plasma all in one beam. Phazon, which is a deadly, living breathing substance that corodes or corrupts anything it touches. Only the Chaakas know how to harness it. Phazon is a deadly, plasmic killing material. It is considered one of the most deadly substances in the Universe. In Chaakan society, you have 3 choices; Become an engineer, enlist in the UFC military, or go to politics. The military makes up most of the Chaakan society and are respected very. Every Chaaka is valued by the Government and the military. If a Chaaka kills another Chaaka, that Chaaka will be publicly executed and WILL NOT be buried. Family and respect come first, and these 2 moral value will lead a Chaaka down the right path . The UFC was created to keep the Chaakan society from falling into anarchy after reaching Tier 1. With the discovery of Phaaze, the deadly homeworld of the Phazon substance, the Chaakan race had reached Tier 1 in 100,980 BC. Several rebel groups had broken out after that. But the UFC government was created to keep the people of Chaaka from falling into anarchy. The rebel groups were put down in gruesome force by UFC army troopers. From then on, the Chaakas would continue to expand peacefully until the "The Age of Nullification" arrived. The Age of Nullification was an era of Nullification for space exploration, and almost permanently stoppping expansion. This Dark age lasted from 1200 AD-2000 AD. 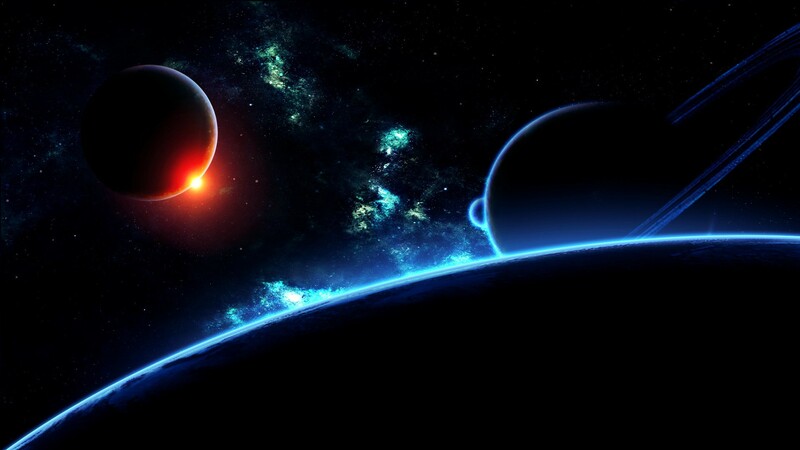 It wasn't until the discovery of Earth, a distant planet in the Milky way, where Charum Hakkor was in the Mehilionic. Did the Chaakas start to exand into more galaxies to it's current position today. The UFC may not be as large as it's counterparts, but they sure as hell arn't to be messed with. Phazon releases unique energy in the form of Phazon radiation. Exposure to any amount of Phazon radiation can be deadly. Most bioforms in direct contact with Phazon, be it ore or liquid, die within seconds. Even living within an area with high Phazon concentration can be fatal over time. However, bioforms with prolonged Phazon exposure that do not die are horribly mutated. Exposure to Phazon radiation destroys brain cells and cognitive thought in sentient beings, yet it also sees a gain of muscle mass and other beneficial abilities. Phazon exposure, while destroying the mind, makes beings hunger for more Phazon. In turn, corrupted beings also have a natural instinct to protect Phazon and its source. Though, The Chaakas have created special suits and devices called PED's, PED troopers have shown no signs of Phazon Sickness at any stage in the testing of their reverse engineered Phazon technology. These PED devices can harness the destructive power of Phazon. PED Harvesting suits are created to protect miners on their operations to Phaaze, the cold, cruel world that generates Phazon. PED devices and suits are mostly used by the Chaakan military, especially the Chaakan Marine Corps(CMC). Latent Phazon is used for mainly ship fuel, it is more red than regular Phazon, and lasts 400x longer than Cold Fusion. The Chaakan had discovered Phazon 500 years after hard light. This new substance threw the United Chaakan Allies States into near Anarchy. The Chaakans needed a new system of government, and a new Government. The UFC was born. Chaakan Marines equipped with hard light bolters, or "The Bolter". CMC marines are highly skilled in combat, and will show no mercy to enemies. The CMC marines have reactive armor and shielding. Chaakan PED marine. Chaakan PED marines are equipped with PED devices, which give them the most deadly advantage in combat. The PED device also shows a mark of special forces. Only the best get to use the PEDs. Here is a heavy class. Most Army troopers are equipped with armor so strong, and so reactive, that it CAN stand a gauss round. Since the space pirates used very heavy weaponry against infantry. 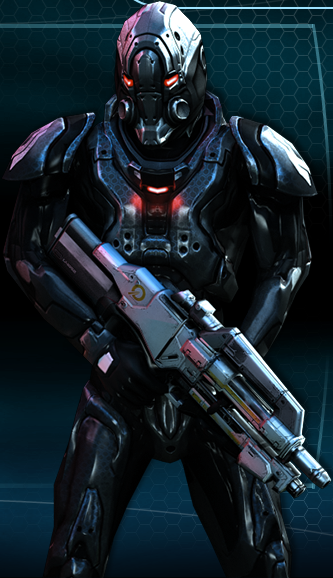 Assault/stealth trooper. The assault is the best of the best, equipped with everything he needs to fight with. He is also equipped with adaptable camo, making him invisible for a short time. 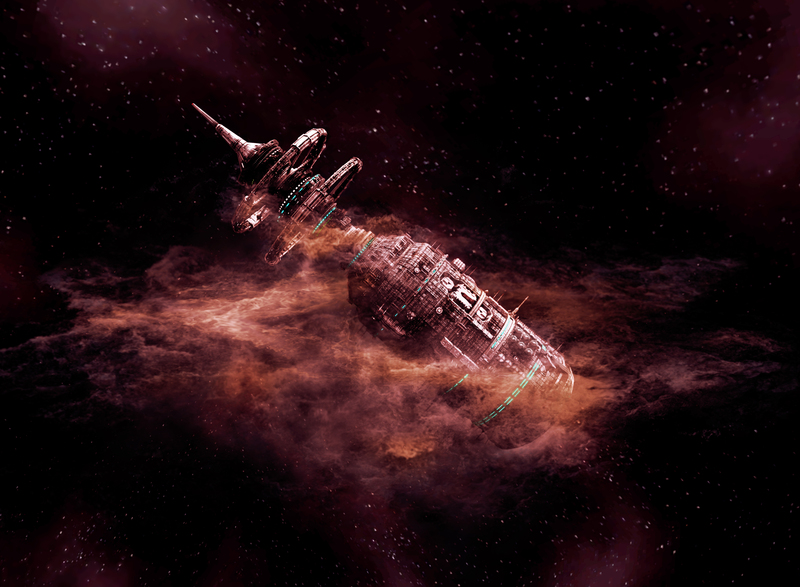 "Bottle ship" Derelict Stations such as these are used as "Pit stops" for UFC fleets, which is rare, as Latent Phazon fuel lasts 400x longer than cold fusion. Griffen Class frigates. These are the most used in the UFC. 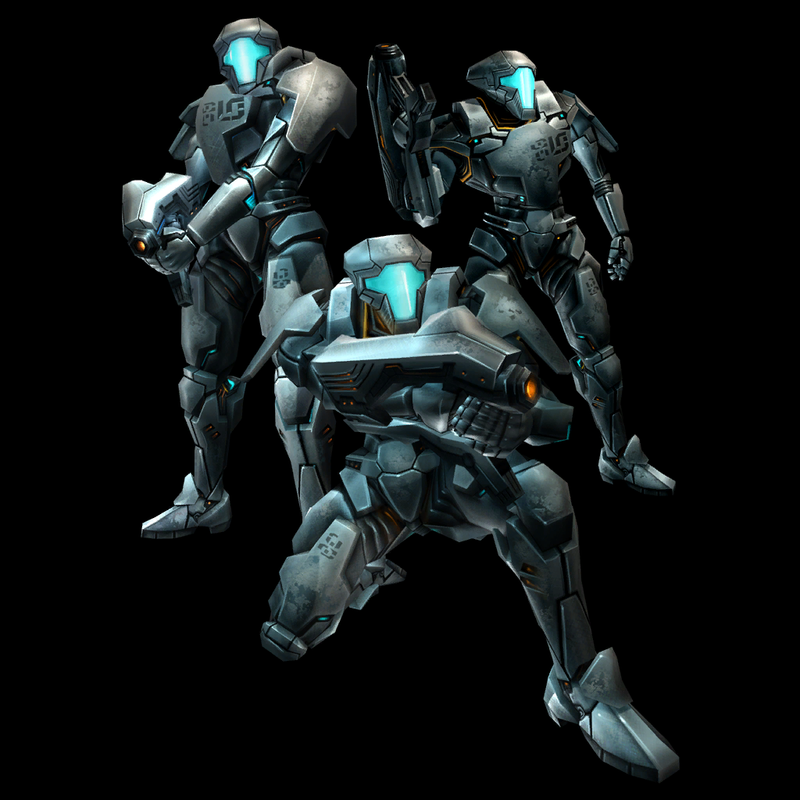 they have Hard light shielding and TWS,Phazon,and Hard light weaponry. 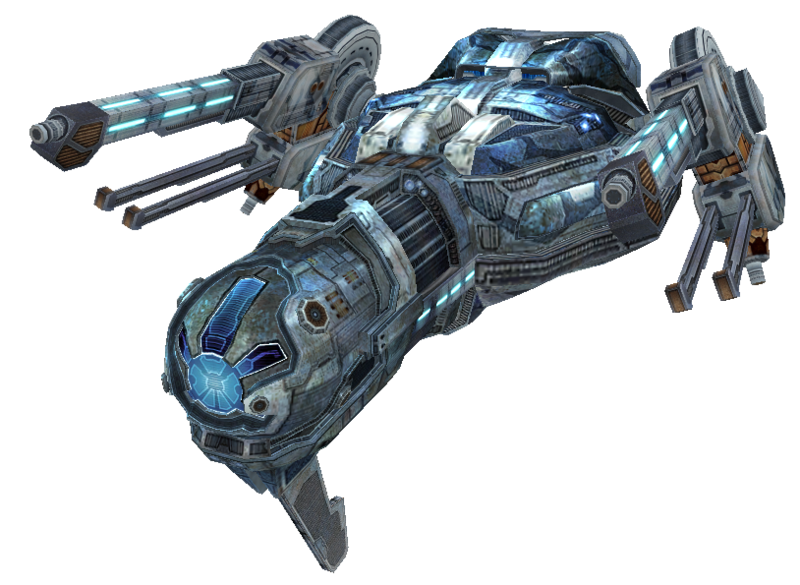 Aeris class dropship. Dropship for UFC infantry. HE-11 VTOL, this VTOL can hold 50 people and 5 vehicles, and can become space borne if necessary. 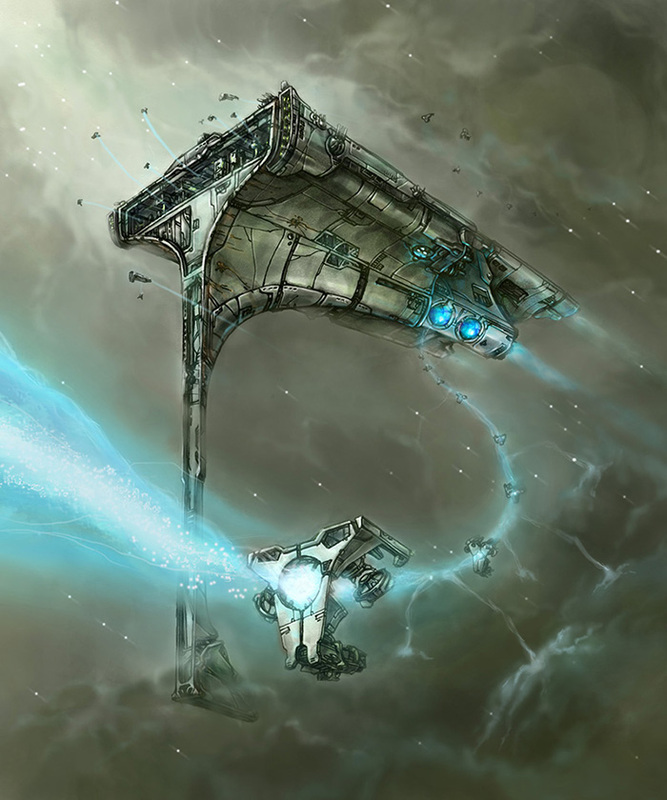 The Auhr is armed with powerful Dual TWS cannons, and is armed with another dual Phazon cannons. The Auhr has 4 engines and 2 wings, the first 2 engines are in the back, they act as the primary engines for the fighter. It's second pair are on the wings, but are underneath them. These engines are advanced VTOL multi revolution roll and turn. These are used to turn the fighter around in a 360 degree rotation to engage bogeys behind the fighter. This makes the Auhr a superior fighter. The wings are movable, they can face in a forward V pointing forward, or in a traditional alignment with the fighter for VTOL capabilities. The switching between wing placements is almost instant. The wingspand is 35 feet, the length is 35 feet, and the width is 10 feet. Federation scientists announced the birth of an organic super computer. Its name was Aurora. Since that historic date, thousands of Auroras have been built and installed. Originally designed for scientific purposes, the Auroras are now used in government, business, and military roles as well. They are given male, female, or gender-neutral personas, based on the needs and desires of the staff at the facility they are to serve in. A vast network links all existing Auroras, allowing them to access a tremendous database without peer. Th MKII is properly given its nickname "End Game. "The End Game is the Ace of Aces. It has dual forward phazon and hard light Reaper guns, which are basically the Grim Reaper version of the Chain and minigun. It has 4 robotically controlled Phazon and TWS tail guns, which are strategically placed in the back. It has also, like the auhr 1, VTOL engines on the wings. Except, this time, there are 2 small ones on the front and back underneath the fighter. The line up perfectly as one is underneath the canopy, and one is near the back engines. This allows the auhr to get behind its attacker without dumping speed. 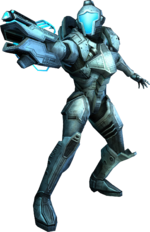 The auhr is also equipped with Phazon missiles and a powerful under cannon that can lock ontl a target and launch a powerful burst of seeking phazon. The AUHR can also hold a payload of Phazon bombs and shockwaves. Shockwaves are like bunker busters, but make it look like an earthquake caused a supersized bomb to go off. They basically are launch one and game over. The bombs wll stick into the ground, lock itself in, prime, and detonate all in 3 seconds. They will cause the ground to go up a magnitude of 5.0 and send ANYTHING flying. This makes the Auhr a force to be reckoned. Subject: Re: The United(Or, Universal) Federation of Chaakas.